1 Killed in 2-Vehicle Crash in N.H.
One person was killed in a motor vehicle crash on Interstate 89 in New Hampshire on Wednesday. 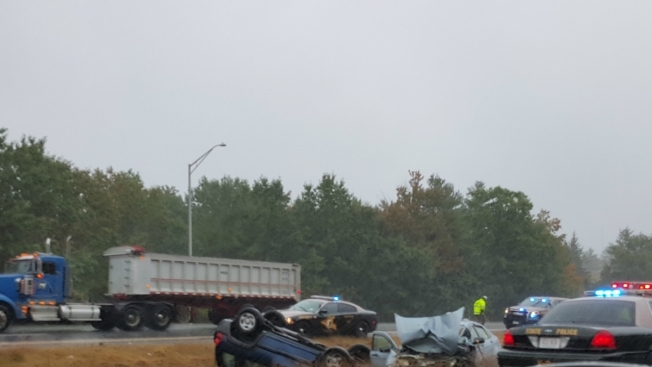 A woman was killed in a 2-vehicle crash on Interstate 89 in Concord, New Hampshire, on Wednesday morning. New Hampshire State Police responded to the accident on I-89 near Exit 2 around 10 a.m. One vehicle had rolled over, and the other was on fire. Preliminary investigation revealed that a blue 2003 Jeep Liberty driven by a woman whose name is not being released pending the notification of next of kin was heading north on I-89 when it crossed the center median, hitting a southbound 2007 Ford Focus driven by Lynda Rawnsley, 51, of Hillsborough, head on. The driver of the first vehicle was pronounced dead at the scene. Rawnsley was taken to Concord Hospital with serious injuries. One southbound lane and one northbound lane of I-89 in the area of the crash was closed for several hours as troopers investigated the crash and the vehicles were removed from the scene.